Started back in 2005 by Dr. Andrew Rankin, Midsummer Energy was born in Cambridge UK from a dream to save the world...one solar panel at a time! From humble beginnings predominantly providing off-grid equipment for narrowboats and caravans, the business quickly expanded to supplying and installing solar panels on properties to take advantage of the government 'Feed-in-Tariff'. One thing we pride ourselves on at Midsummer is, that unlike some other solar suppliers, we have been working in the solar industry for over 10 years. We've been up on roofs, down in engine bays and in Antarctica to provide our solar power, so we feel we have the knowledge to help you find the best solution for your off-grid power problem. Like our founder, all of us at Midsummer care about sustainability and what impact we have on the environment. In the Midsummer warehouse and office, we reuse any materials that come in, such as second-hand shelves, or repackaging products from recycled cardboard. We also provide 99% of our invoices and receipts via email, saving over 16,000 sheets of paper per year! Provided with a 2 year manufacturer product warranty and 25 year solar cell performance warranty, our MID range of solar panels, both in polycrystalline (JA solar cells) and monocrystalline (SolarWorld solar cells), are reliable, durable and aesthetically pleasing. Look for the 'MID-' product code to know it's from MIDsummer. 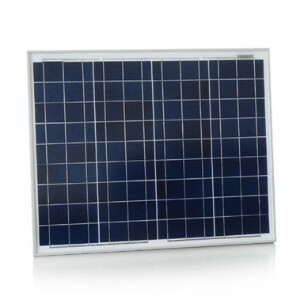 Our most popular 12V panel is the MID-100M solar panel with black backing sheet and anodised aluminium frame. 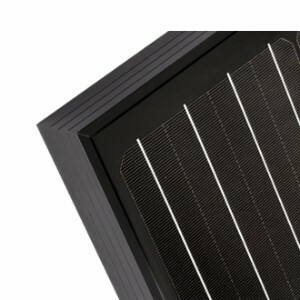 Our all-in-one monocrystalline 25 Watt Panel has a built in battery charger, so you can connect straight to your battery - no extra solar controller required! Extra Thick Aluminium Frame. 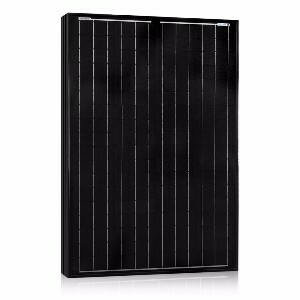 Our all-in-one polycrystalline 50 Watt Panel has a built in battery charger, so you can connect straight to your battery - no extra solar controller required! 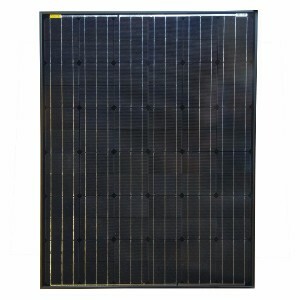 Take a look through our entire range of 12V solar panels here.